Nothing beats fresh veggies from the farmers market. 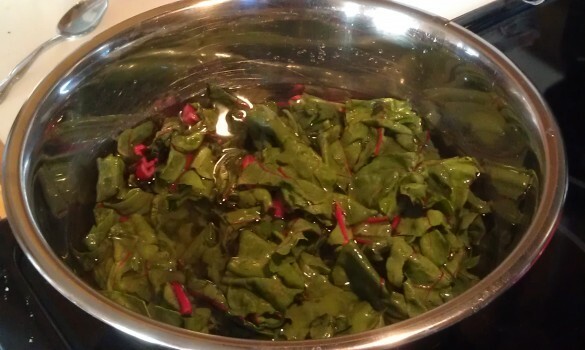 But sometimes we don't get around to eating our veggies right away and our delight turns into dismay when we pull out a limp bunch of swiss chard out of the refrigerator. Fortunately there is a simple trick to revive your limp veggies. I've used this method with chard, kale, carrots and more.. The key is to remember that many vegetables have a high water content and that they have lost much of their water in the dehydrating environment of the refrigerator. So the trick is to replenish the water that has been lost. If the veggie in question isn't easily bruised (like spinach); rinse in sink and then slice roughly. Otherwise just trim the stems and leave whole. Fill up a bowl of water and leave your veggies to soak for about an hour. That's it! When you are ready to steam, stirfy or otherwise cook, just drain and rinse and use as needed. You'll find that the water has been absorbed making your veggies much crisper!